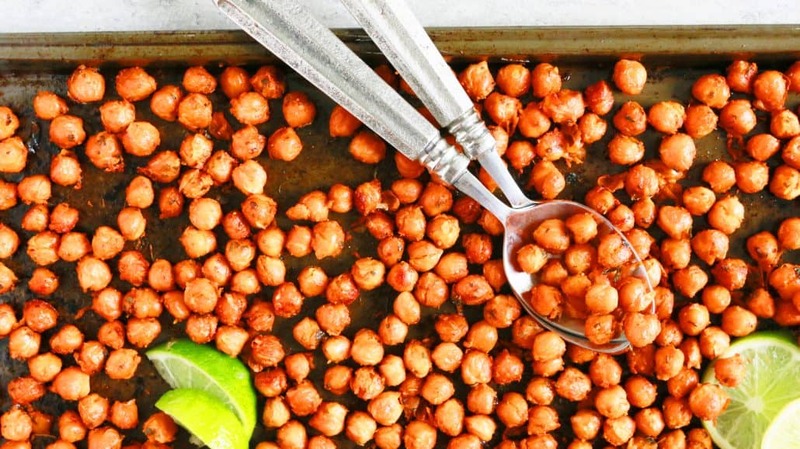 Spicy roasted chickpeas that is tangy, crunchy and highly addictive. 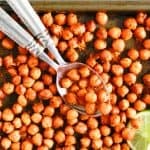 Chickpeas that tastes like tandoori chicken!!!!! The first week of New year…reality. 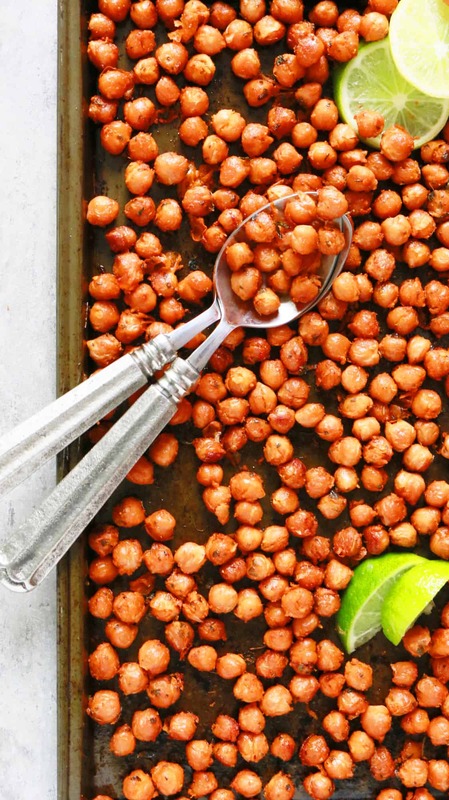 Healthy yet satisfying snacks but without compromising on flavor. 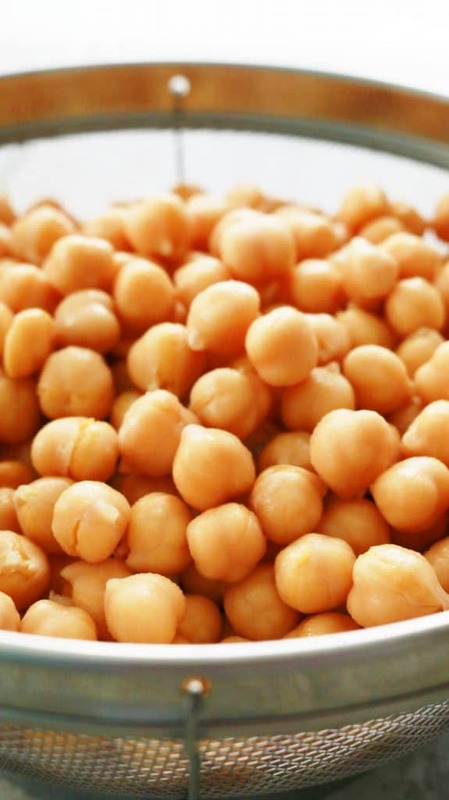 I LOVE this chickpeas. We have been eating batches of these all through December, just to make sure they are perfect for you. 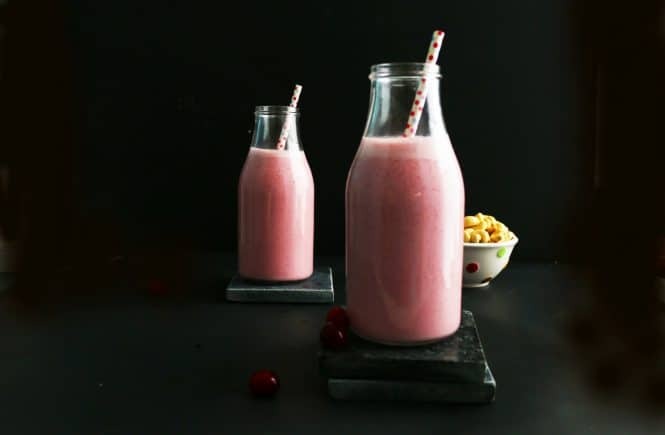 Great for snacking (healthy snacking that is!) or toss in your favorite salads to spice things up or stuff into naans and salted yogurt, lettuce and cucumber slices. 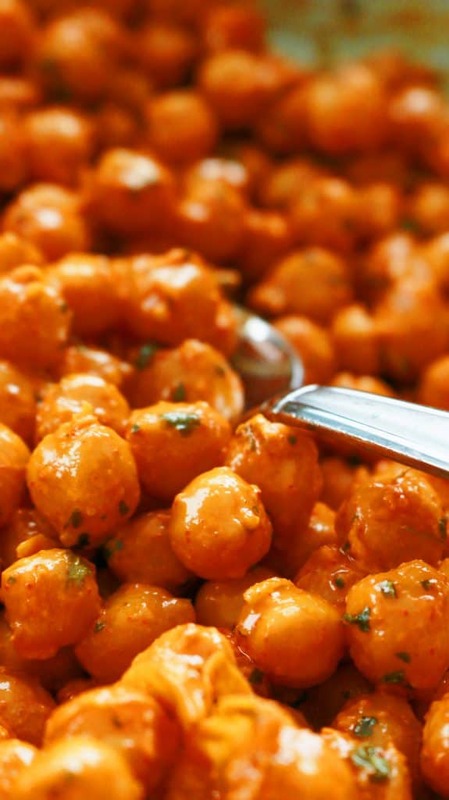 If you are craving for something spicy and crunchy then these spicy roasted chickpeas are your perfect solution. Pre heat oven to 400 degrees F or 205 degrees C. Have a 9-inch cast iron pan or medium (oven safe) non-stick skillet or a baking sheet lined with parchment paper ready. Add all ingredients (except lime or lemon juice) into the skillet or pan, stir well until evenly combined (make sure all the yogurt is thoroughly combined and well distributed). Spread them evenly in a single layer. Place pan in the middle rack of the oven and bake for about 40 minutes, until crisp. (While the beans are baking, have one teaspoon of lime or lemon juice ready). 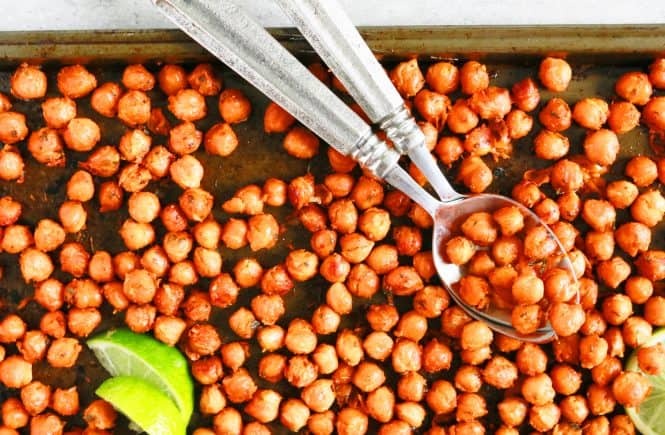 Remove skillet or pan from the oven and place on a wire rack and immediately add the lime or lemon juice, stir well with a spoon to coat all beans with the juice. 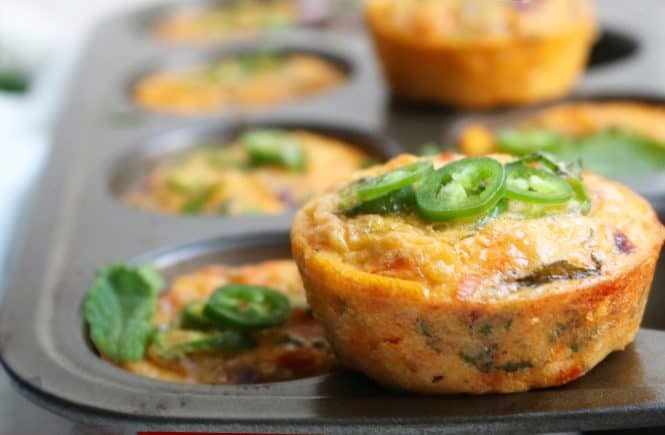 Spread them in a single layer again and let cool. Kasoori methi is dried fenugreek leaves that adds a very authentic tandoori taste. 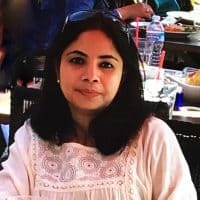 It can be found in all Indian grocery stores, some Asian supermarkets and Amazon. Orange color gives it a tandoori chicken look. It’s totally optional. Do not reduce the oil. These sound like the most wonderful snack ever! 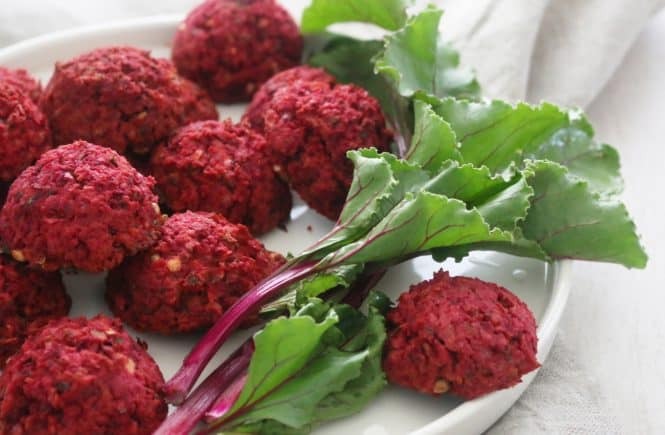 Happy New Year Maria….I am loving this recipe, it makes such a great snack and it looks sooooo delicious too ! Looking forward to all your new recipes for 2018! I have to try these real soon! I don’t know if its appropriate to say here 😀 But they will make for an awesome chakna with drinks!! Thanks for sharing Maria!! These are so awesome Maria!! 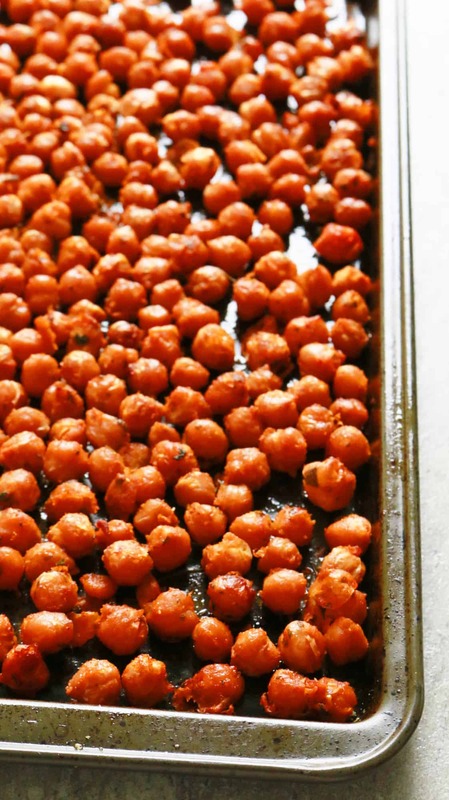 I love, love roasted chickpeas but I get bored with the same old flavours – I can’t wait to try this one…I’ll probably eat it all at once!